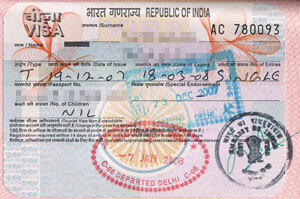 Traveling to India more than once within a two month period, for citizens of any country, was not allowed by Indian laws. This provision has been now removed by the Indian government, except for nationals of Afghanistan, China, Iran, Pakistan, Iraq, Sudan, Bangladesh, foreigners of Pakistan and Bangladesh origins and Stateless persons. “The government reviewed the provision relating to two months gap between two visits of a foreign national to India on a tourist visa, and it has been decided to lift the restriction of two month gap on re-entry of foreign nationals coming to India”, the Home Ministry said in a statement.